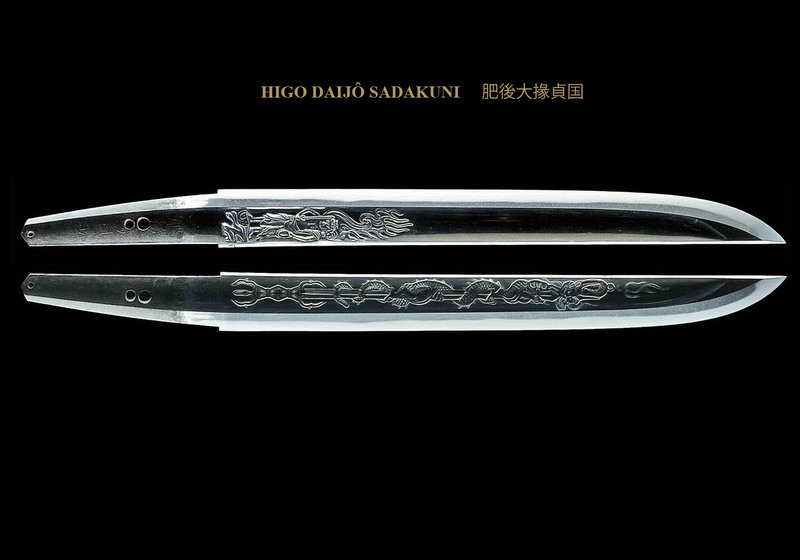 Higo Daijô Sadakuni (肥後大掾貞国) was from Echizen (越前) Province. He worked around the beginning of the Shinto Era, around Keicho (1596) and Kanei (1624). There are various stories about the lineage of this smith. Some attribute him to being the younger brother of Higo (no) Kuni Dôtanuki Masakuni (肥後国同田貫正国). And others say he was the younger brother of the first generation Yasutsugu (初代康継). Some even say he was actually one in the same as the first generation Yasutsugu (初代康継). He was most likely related in some way to the first generation Yasutsugu (初代康継). All seem to agree that his swords greatly resemble those of Yasutsugu (初代康継) and that he was of the Echizen Yasutsugu School(越前康継系). Sadakuni (貞国) received the title of “Higo (no) Kami” (肥後守) the same as the first generation Yasutsugu (初代康継). 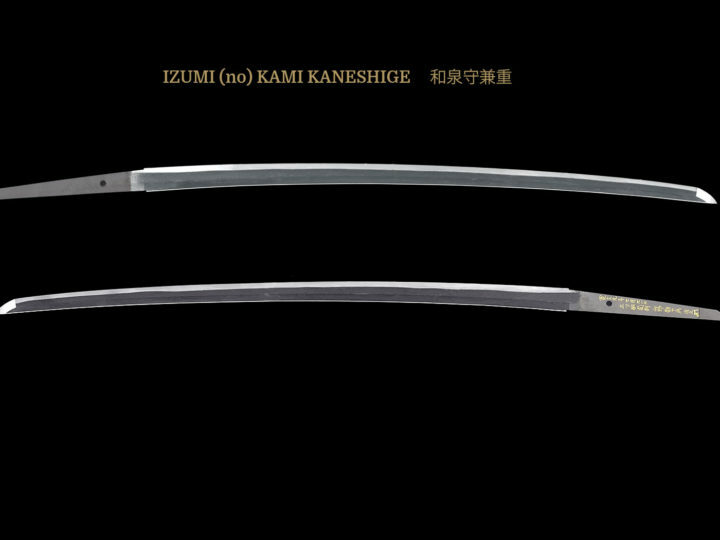 Many of his remaining works are tantô and hira zukuri wakizashi. He is rated as being equal to Yasutsugu (康継) and is most famous for his fine carving of horimono. 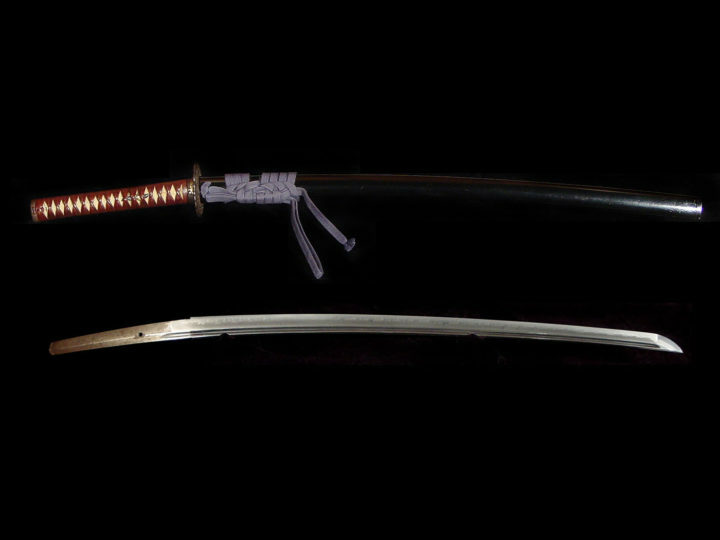 SUGATA: Katana were rare. 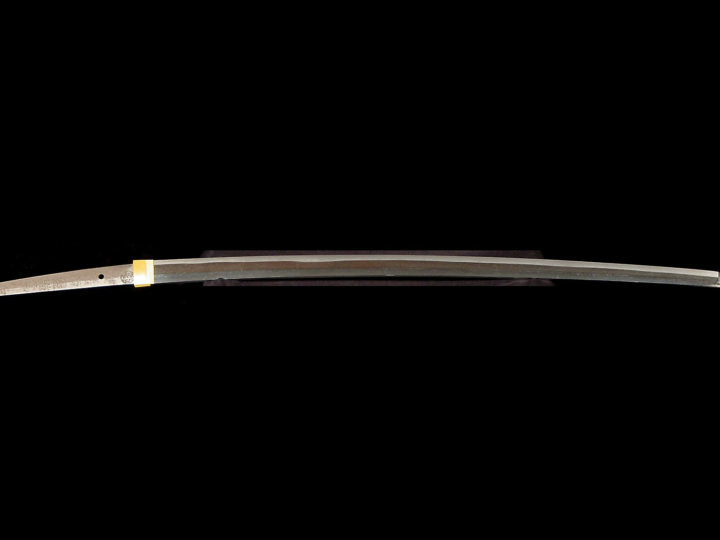 Most of his blades were hira–zukuri wakizashi; many were sun–nobi in length. Tanto are also plentiful. Generally, hira–niku will be lacking. 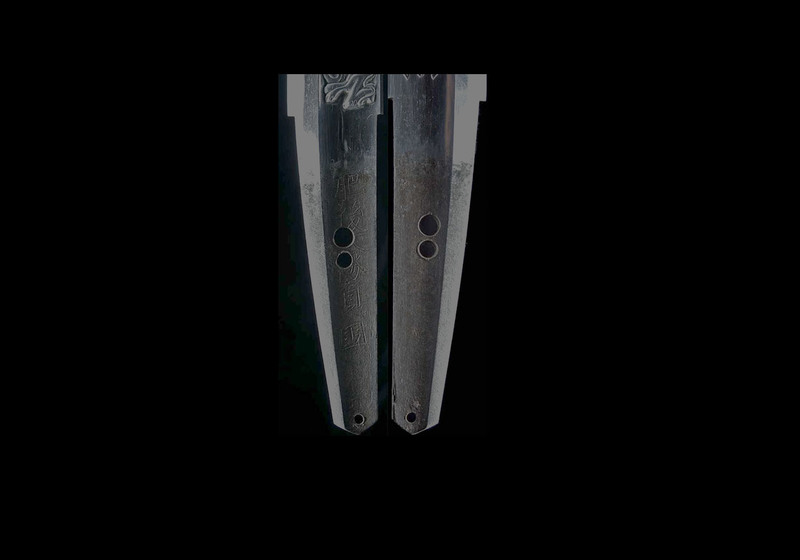 Unusual shapes like katakiriba and naginata will also be found. JITETSU: The jigane will be dark and hard. The tendency will be for ko–mokume hada to be mixed with some masame hada. Dark spots that are typical of Echizen–gane will also be found. HAMON: The width of the hamon tends to be narrow suguba, which is worked in nie. It will have ko–gunome and komidare mixed in and there will be small ashi in good numbers to create much hataraki. BÔSHI: The bôshi will turn back in a komaru shape. Most kaeri will be short, but occasionally a longer kaeri can be found. HORIMONO: Sadakuni (貞国) was famous for his extremely fine horimono. He is said to have been the teacher of Nagasone Okisato Nyûdô Kotetsu (長曾禰興里入道虎徹) in this area. He made horimono of kenmakiryu (dragon around a sword) and ume (plum branches and flowers). 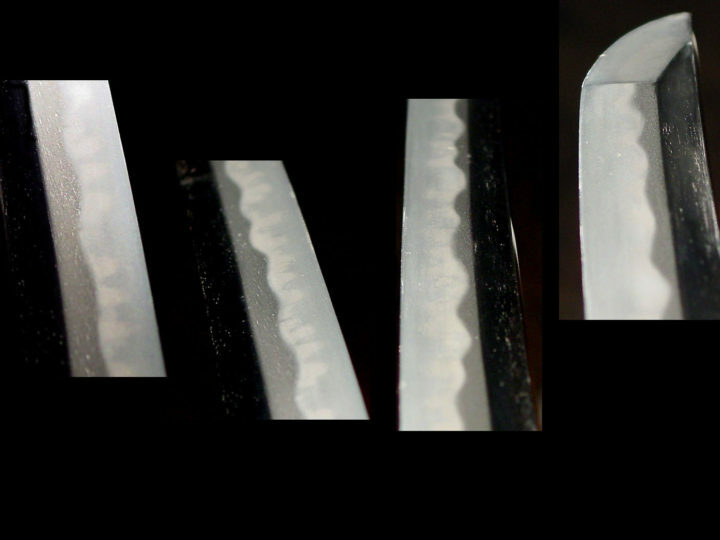 His work rivals the finest Kinai carvers who worked on the blades of Yasutsugu (康継). NAKAGO: The tip of his nakago will be a shallow kengyo shape. The file marks will be katte–sagari.